SALEM — Cities remain wary of a legislative proposal that would require many of them to open the way for townhouses and small apartment buildings in neighborhoods filled with single-family homes, even after changes meant to ease them into it. Gov. 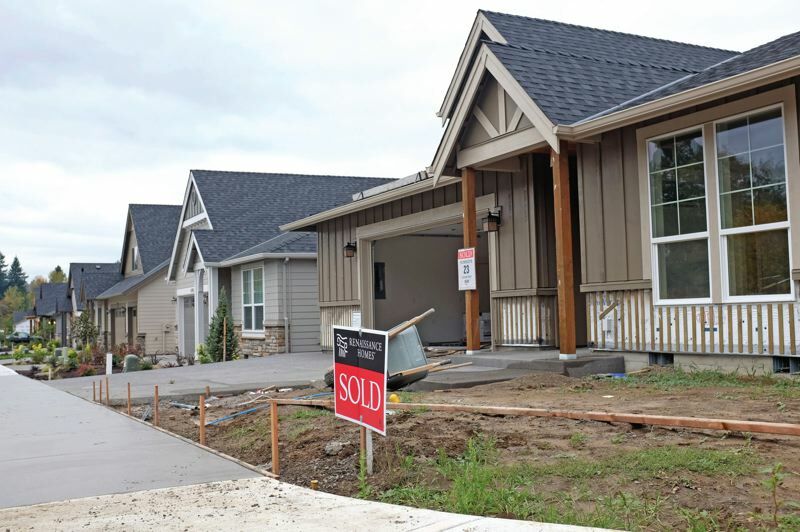 Kate Brown and House Speaker Tina Kotek have promised to tackle troubling trends in Oregon's housing market. Rising rental prices and real estate costs, especially in the Portland area, have led to what Kotek likes to call a "missing middle" problem: a shortage of homes that middle-class people can afford. House Bill 2001 would require cities of a certain size to allow attached housing and "cottage clusters," detached homes built around a shared courtyard, on any residential lot now zoned for single-family houses. The bill was unveiled in January to cheers from affordable housing advocates and boos from some neighborhood groups and city officials. The House Human Services and Housing Committee met for a hearing on the original bill last month, and then met again Monday to discuss amendments that Kotek, a Portland Democrat, offered to address concerns. "We have heard loud and clear that there are concerns that this would be difficult to implement, and the goal of providing more choice in housing construction is really fundamental if we're going to provide more supply out there," Kotek said Monday. "I think we've made a lot of effort to address some of the implementation concerns that have come from the cities and counties." The most significant change screens out some counties and lessens the burden on many cities. Under Kotek's new plan, only cities with populations above 25,000 would have to fully comply. The original level had been 10,000, or 15,000 for counties. However, that change comes with two caveats: Cities with populations greater than 10,000 and counties with populations greater than 15,000 would still have to allow duplexes in neighborhoods that have historically been limited to single-family houses, and every city in the Portland area with a population above 1,000 would have to allow the full mix of housing, including duplexes, triplexes, quadplexes, townhouses and cottage clusters. Duplexes are "probably the easiest thing to do, particularly if you're a smaller city," Kotek said. Single-family houses will still be allowed under the new rules, she added. Beyond Portland and its suburbs, the changes are a significant concession. Raising the bar from 10,000 to 25,000 more than halves the number of cities elsewhere in the state that would immediately have to allow the new housing mix. Not including cities within Portland's urban growth boundary, which is managed by Metro, there are 31 Oregon cities that have more than 10,000 residents, according to U.S. Census Bureau estimates. Twelve of those cities have estimated populations of more than 25,000. They are Salem, Eugene, Bend, Medford, Springfield, Corvallis, Albany, Keizer, Grants Pass, McMinnville, Redmond and Woodburn. The Metro area encompasses 24 cities, including Portland. Of them, just three would escape the rules under Kotek's latest proposal: Johnson City, Maywood Park and Rivergrove. One small Portland suburb that would be affected is Durham, with a population of less than 2,000. The only full-time city employee is Linda Tate, the city administrator. "I can foresee multiple problems that it would create for the city," Tate said, though Durham hasn't taken a position on the proposal. She identified traffic as her main concern. Southwest Upper Boones Ferry Road is Durham's main road, carrying traffic between Tigard and Tualatin. "The road can look like a parking lot at times. There is currently only one traffic signal to assist the residential traffic attempting to enter or leave their neighborhood," Tate said. "I hate to imagine the traffic that would be added if multifamily homes were to replace the single-family homes in those neighborhoods." Erin Doyle, lobbyist for the League of Oregon Cities, sees a conflict between claims of supporters that the proposal wouldn't change the character of neighborhoods but would add a lot of new housing. "I don't believe that you'll see entire blocks torn down and replaced with quadplexes," Doyle said. "That is not how redevelopment tends to work." Opponents of HB 2001, like Doyle, argue that the bill takes local control away from cities and cuts residents out of the land-use process. "It's not that we're opposed to increasing density," Doyle said. "It's that we need to do it in a way that works for our communities." 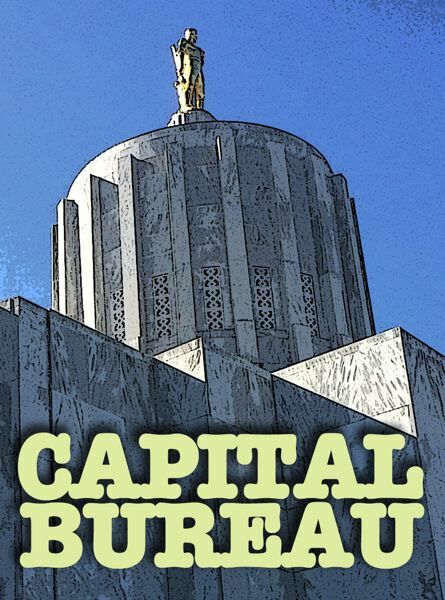 Officials and lobbyists from about a dozen cities across Oregon testified on the changes to HB 2001, speaking at Monday's hearing or submitting letters. Most said they share its goals, but they still think the bill goes too far, despite the concessions Kotek has made. Albany Mayor Sharon Konopa pleaded in a letter to Kotek to drop what she called "an upsetting bill for my community and the middle Willamette Valley region." The mayor wrote that local citizens "will not even know this type of legislation is in the works until it impacts their neighborhood. Then who will get blamed? It won't be the legislators who supported this bill. It will be the policymakers at the local level." Milwaukie Mayor Mark Gamba, however, said his city supports the concept. "Decades of federal, state and local policies, including exclusionary land use policies, have led to segregation of housing by race and income and the housing shortage we are faced with today," he said. Lobbyists from both the conservationist nonprofit group 1,000 Friends of Oregon and the Oregon Housing Alliance, which supports affordable housing, supported HB 2001 and Kotek's amendments. "It increases supply in the right locations, where people need to live, in neighborhoods with existing schools, places of worship, jobs and the possibility of transit nearby," said Mary Kyle McCurdy, deputy director of 1,000 Friends of Oregon. McCurdy described the middle housing that HB 2001 would broadly allow as "the type of housing that Oregonians need." She pointed out that most Oregon households — about 65 percent, according to census data — are one- or two-person households. "We know that there's a mismatch between the types of homes available, the people who need a place to live and the incomes that people are earning," said Alison McIntosh of the Oregon Housing Alliance. "Much of the housing being built today is out of reach for people with more moderate incomes."